Reimplemented in df::WorldManager, df::NetworkManager, df::GameManager, and df::InputManager. Return count of number of events sent. 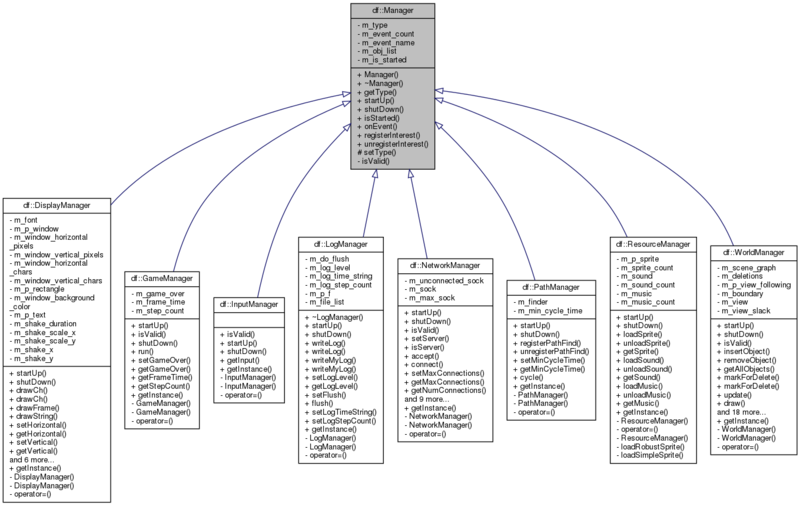 Reimplemented in df::DisplayManager, df::ResourceManager, df::LogManager, df::GameManager, df::WorldManager, df::NetworkManager, df::PathManager, and df::InputManager. Return 0 if ok, else negative number. Reimplemented in df::DisplayManager, df::ResourceManager, df::LogManager, df::WorldManager, df::GameManager, df::NetworkManager, df::PathManager, and df::InputManager.